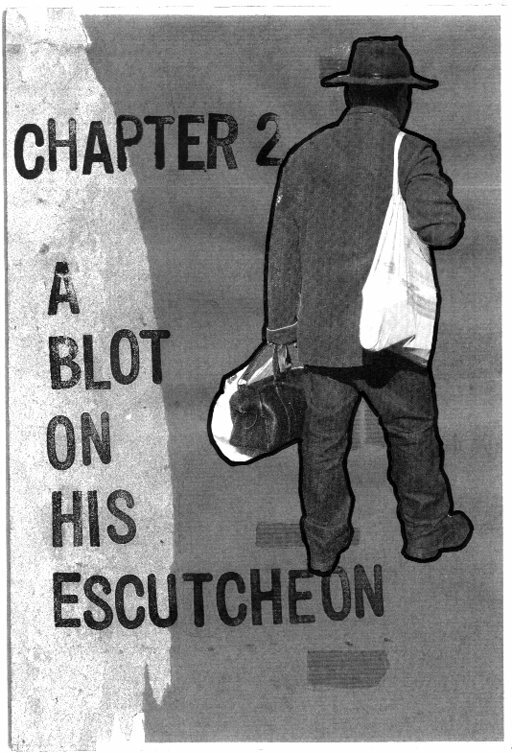 With publication of the second issue of my artist book/comic Blotting Paper: The Recollected Graphical Impressions Of Doctor Comics, Chapter 2: A Blot On His Escutcheon just a matter of weeks away (September is looking increasingly likely and Saturday September 21 is being scheduled subject to completion of the binding and delivery of the books). What has been fixed though is that the book will form part of an exhibition of works on paper at a new gallery in Glebe called GAUGE. Here is an image of the title page. The image has been constructed from elements of photography, printmaking, typography and collage and shows Doctor Comics returning from a shopping expedition for fish and books. UPDATE: Exhibition dates have now been firmed to 18-29 September 2013 but still no firm launch date for the comic. Title page of Issue #2 of Blotting Paper (Design-© 2013 Michael Hill). 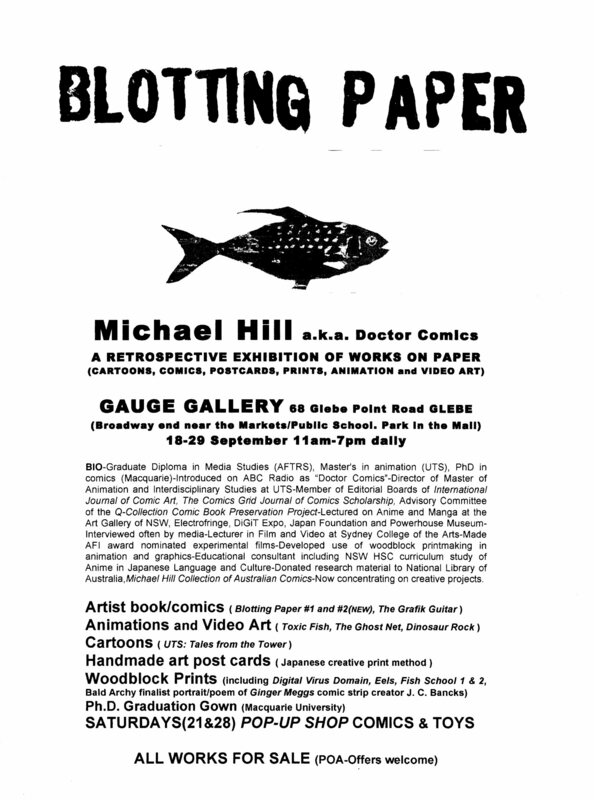 Press Release for the Blotting Paper exhibition. This entry was posted in Art, Blotting Paper, Comics and tagged animation, artist book, cartoons, collage, image-making, making comics, photography, printmaking, woodcuts by Doctor Comics. Bookmark the permalink.